In this course, you will learn about the variety of roles and functions in which behavioral health interpreters engage. Interpreters, other mental health professionals, and consumers alike benefit from you having a solid understanding of different types of interpreting, tools available to you, and techniques for interpreting. 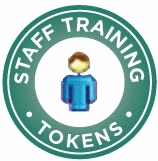 Given the diverse groups that you are likely to be working with, this course also gives you an overview of the standards and competency criteria for Culturally and Linguistically Appropriate Services (CLAS) for healthcare interpreting. Finally, we will discuss the challenges of interpreting in health and human service settings. This course blends a didactic approach with interactive exercises that give you the chance to apply the knowledge you gain along the way. Armed with this information, you'll be well-prepared to know how to most effectively provide interpretation services in a health and human service setting. Disclaimer: Some states have adopted their own healthcare interpreter ethical principles, protocols and standards. Check with your state regarding possible state-specific guidelines. 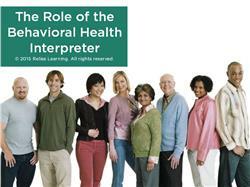 Describe the roles and functions of the behavioral health interpreter as well as types of interpreting tools and techniques. Describe the Culturally and Linguistically Appropriate Services (CLAS) standards and competency criteria for behavioral health interpreting. Explain the challenges and ethics of interpreting in behavioral health settings.